1. Louisville Zoo membership holiday offer - offer ends soon but you can always purchase a membership! 2. The Newport Aquarium is super fun. They have a special during the holidays for buy 3, get 1 free on annual passes. 3. The Explorium in Lexington is also a fun place for families to visit, especially those with young children. The membership levels vary but the price range is $70 to $125. 4. A membership to the Creation Museum might be something that your family enjoys. Their membership rate is $175 for a family and incorporated membership to the Ark Encounter. 5. 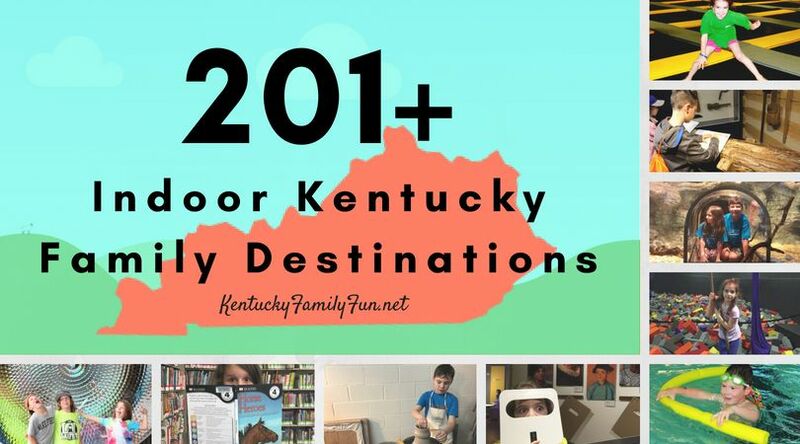 Your family could become members of the Kentucky Gateway Museum. This museum is very unique, "there are a very few places in the world where visitors can enjoy a large collection of miniature buildings, rooms and artifacts: Chicago’s Art Institute, England, and now, Maysville." A family membership is a very affordable $60. 6. The Owensboro Museum of Science and History is another great place for families in Kentucky. And, membership for families is just $40, a great affordable gift. This museum is in the quaint downtown area near amazing local restaurants and what we think is the best park in Ky! 7. The Kentucky Science Center is so much fun for families of all ages. From the IMAX movies to the hands on exhibits your family will be entertained for hours. Membership starts at from $89 for families. 8. How about the gift of summer fun at Kentucky Kingdom? This is obviously is better suited for older kids because there is a height restriction. Give the gift of season passes! 10. Louisville City ticket vouchers - your recipient will get to choose which game they want to go to and their seats. 11. Louisville Bats also offers a flex pack for just $69 to $89 with some promotional freebies. 12. Lexington Legends offer a holiday flex pack. You can get 10-50 tickets for the 2018 season! 13. The Bowling Green Hot Rods offer a 6 game holiday gift pack for $60! 14. How about a racing experience for a thrill-seeker? NASCAR Racing Experience offers gift cards that can be used at Kentucky Motor Speedway! 15. How luck would your gift recipient be to get the gift of exploring Kentucky State Parks. The state parks offer gift cards that can be used for meals and lodging, even shopping. They have so many locations and programs - your recipient can pick their favorite place and go take a wildlife tour, learn about birds or history! 16. Have an adventurer you need a gift for? What about Go Ape - an outdoor ropes course? This experience is a little pricy for people so that's why it might just make the best gift.....something special they have been wanting to do!